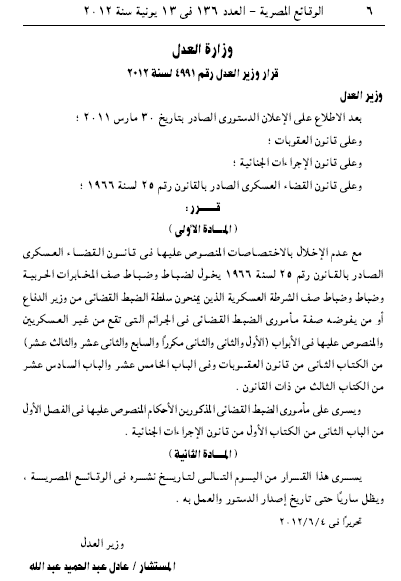 A decree issued on 13 June now allows military personnel to act as police. The judiciary arresting authority granted to the military allows them to arrest and detain citizens in cases of threatening national security, possession or manufacturing of explosives, assault on authorities, destruction of public property, blocking traffic, hindering work or production and thuggery. This decree does not grant military personnel more powers than the police. It just gives them the exact same right. This means they still need a warrant to search your car in absence of probable cause and it means they still need an order from the public prosecutor. At first glance this just seems like an expansion of the police force, or a simple means of replacing uniforms without having to make new ones, but it’s not. The reason is that military personnel cannot be held accountable when breaking the law. Their testimony cannot be questioned by the general prosecutor. What this really means is that the law circumvents the red tape and allows for legal military authority to bully Egyptian citizens and to stop them from going on strike or protesting. This is in effect a declaration of martial law. The constitutional annex aims to instil such a right in the constitution, hence giving the decree the legal cover. In a military organization, laws don’t exist, just military commands. We have seen unlawful murders taking place based on military commands. What’s worse, the military judiciary is so corrupt that it is no judiciary at all. The laws that have been put in place are to meet street protests with violence and to trump up charges against any of the military’s opposition. The law enforcement decree is enabling a mafia to act with impunity on the streets of Egypt. It is a vital part of the soft military coup that has just taken place. Update: On Tuesday 26 June there was a court ruling that halted the military judicial arresting authority. The decree was found illegal by an administrative court but remains in the constitutional annex and can be turned into law. Update II: On December 10, Morsi re-instated military judicial arresting authority until the referendum on December 15. A quick recap of where we’re at this moment before the results are announced. This post will quickly lose meaning but it documents the state we’re in so that it cannot be falsified later. It was clear from the start that voting Shafik meant choosing Morsi. I believe the count to be in favour of Morsi despite all attempts at mobilization by the state to support Shafik. At the same time, despite knowing that the votes would amount to Morsi, it seems inconceivable for SCAF to name him as the winner of the elections because it would compromise their hold on the country. 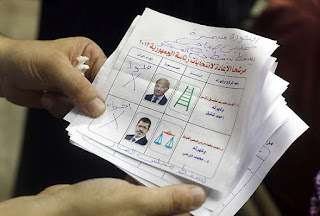 It was expected that SCAF would rig elections. The constitutional annex on the second day of elections looks like a contingency plan for Morsi’s win. 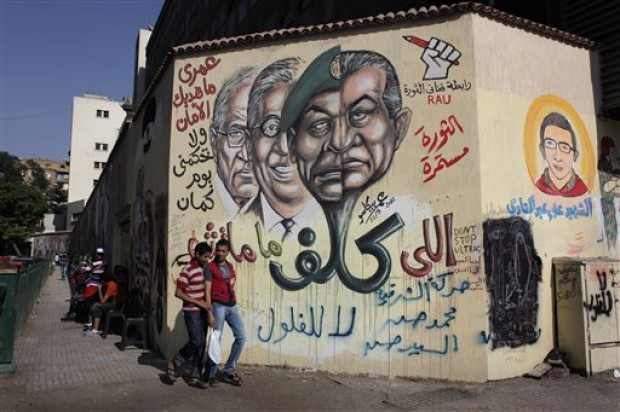 Instead of rigging the elections, SCAF rigged the constitution. It is a deeper and more vile form of rigging. Morsi makes sense with the constitutional annex that allows for the constitutional court to practically write any disputed article of the constitution in favour of SCAF. The president will also be temporary and will have very little powers. But for Morsi to operate within that context he must agree to play the game and accept SCAF’s dominion over the president. The Muslim Brotherhood have announced the results of the elections as they came in and declared to the public that Morsi was the winner. This was accompanied by statements by the Muslim Brotherhood that the constitutional annex was void and inconsequential. The annex would have the new president sworn in before the constitutional court. This would solidify the annex and therein lies the conflict. It appears that the Presidential Election Committee (PEC) has postponed the announcement of results in order for SCAF to pressure the Muslim Brotherhood into accepting the constitutional annex. This deprives the MB of writing the constitution and more importantly set a president putting SCAF ahead of the president. Meanwhile, Ahmed Shafik’s campaign is celebrating a false win while PEC attempts to cook up the numbers. If the Brotherhood do not comply with the military’s ultimatum, SCAF will announce Shafik as the winner. 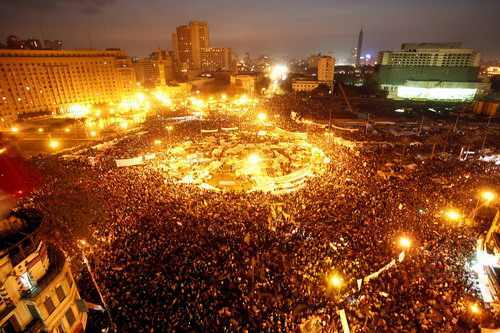 The Brotherhood have filled Tahrir square in preparation for this battle. Their soldiers are positioned there and ready. I’m not saying they will use any force, on the contrary, they are there to apply pressure. The tension is on, and people are ready to explode if SCAF announces Shafik as the winner. Some questions remain today. Will the Brotherhood accept a ceremonious role of the president and hence solidifying the military coup? Will SCAF announce Shafik the winner despite the results made public by the Muslim Brotherhood? What will happen if SCAF announces Shafik as the winner? What will happen if the Brotherhood don’t accept the constitutional annex that is a precondition to Morsi’s win? This is where we’re at today. The unfortunate fact is that with such a power struggle there is no easy way out of this mess. One of the parties involved has to lose, but what’s worse is that in all cases, Egypt will lose. Salma El Wardany, Ahram Online reporter and currently the Bloomberg correspondent in Sudan was arrested earlier today, 21 June 2012, while covering the Sudanese protests. The constitutional court has declared the unconstitutionality of the disenfranchisement law allowing Ahmed Shafik to run. The court has also dissolved parliament. I don’t think I’ve had enough time for legal or political analysis of what this truly means, but everyone knows that this is a military coup and we will end up with a brutal military regime with Ahmed Shafik as the figurehead. Earlier I had said that voting Shafik meant choosing Morsi, but I was wrong, because these elections aren’t fair and now it seems they will be rigged at all costs. Voting Shafik meant choosing injustice. I never had any doubt in my mind that Shafik would be allowed to run, but the real blow was parliament. It’s not that I had any fondness of parliament but that the ruling indicates audacity and utter confidence of SCAF that it will not be opposed. They do not fear the backlash from any of the forces. The military is gaining ground and heading towards a Neo-Mubarakism. It will be marked by more oppressive measures and smarter democratic propaganda. We’re losing the media war and we aren’t finding ways of winning yet. The only thing I can express now is how I feel. We’ve lost an opportunity to start on the right track. I don’t say so having been deluded into thinking that 18 days or 18 months are enough for a successful revolution. I just feel we have been defeated by the old forces of the regime: the military and the Muslim Brotherhood. The Brotherhood foolishly squandered revolutionary zest that could have benefitted us all. They fought the revolution and what did they gain? A short-lived existence in an impotent parliament. They lead people who trusted them into a soft coup. The one thing that threatens the military is a break in the mid-level officers, but with one hundred per cent increases in salaries seems to have bought them off enough to kill us on the streets. The one thing I feel right now is that a great opportunity has been lost. Today we will have to fight the military once again at the peak of its power. I don’t know if elections will be held on time, there’s a chance they won’t but even if they are, I doubt there is any chance that the Muslim Brotherhood’s candidate, Morsi, can win. There have been so many parallels between Greece in 1967 and Egypt now. In Greece, just the possibility of losing elections lead to a coup. I had expected this coup before parliamentary elections, but I guess the military was not strong enough back then. After the Muslim Brotherhood drained the revolution, the military has now, once again, taken control. Why did Hamdeen Sabbahi and Abdel Monem Abol-Fottouh run in elections while Shafik was running? Why did they not object from early on that the disenfranchisement law wasn’t applied? Why are they objecting now? Why did they run in these elections when they knew they were going to be fraudulent? Why didn't they unite before these elections? Why don’t they just lick their wounds and accept defeat? I hear these questions accompanied by accusations that Sabbahi, Abol-Fottouh and Khaled Ali are just sore losers. The questions don’t make a lot of sense to me. I don’t understand their logic particularly from people who, for example, voted in the elections but wanted the candidates not to partake, or from those who boycotted but are critical of ElBaradie for boycotting, or those who did not believe at first that the elections were going to be fraudulent and have discovered now that they were. The real concern for me isn’t whether the ex-presidential candidates are making a fuss about losing. It is in Egypt’s best interest to make a fuss about state sponsored violations in free undemocratic elections. I will not assess the candidates’ intentions as to whether they are fighting on our behalf or for self-serving purposes. I think this is a battle that should be fought. The real issue is the reaction to this battle from people who claim to fight injustice. It is disappointing that activists defend the results of the elections while acknowledging the authoritarianism under which they were conducted. I think there is a missing chunk of values camouflaged by the desire for some people to appear as graceful losers. It might be a deep feeling of inadequacy manifested in blaming others for not accepting their loss. It may be that the principles themselves that people hold on to are flawed whereby a part of them accepts unfairness as a given. It may not even be their fault, it is something that the Mubarak regime has nurtured. 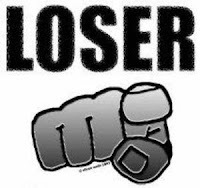 Sore loser applies to someone who has been beaten fair and square, but not when there are violations grave enough to be fraud. If you’ve been cheated, you kick and scream when you lose and make a fuss. There are no points for being a graceful loser if you’ve been cheated. It seems to me the criticism directed to the presidential candidates is more defeatist than it is ideal. Accepting an unfair outcome gracefully does not make you a better person. Condemning those who have been cheated just because they’ve complained is oppressive. It is victim blaming. Would Hamdeen have made a fuss if he had won? Probably not, but what does it matter? The real question is whether he would have made a fuss had he been beaten fair and square. The question isn’t why Hamdeen ran if he knew elections would have been fraudulent. The question is whether elections would have been fraudulent if there were no threatening candidates to force the regime into fraud. The idea isn’t so much that Shafik was running despite being a member of the ex-regime but that he benefited from it on this occasion and showing us why he should not have been allowed to run. Right now, the ex-candidates are a powerful representation of the revolution. They are flawed. We all are. But why are people so eager to lose? Why are people eager to have them give up? Why not put up a worthy fight. It puzzles me how people sometimes say the results would have been the same if no violations had taken place. There is no way of knowing what outcomes would have come up had the rules not been broken but more importantly, even if the outcome would not have changed, it doesn’t make it right. The sad part is seeing a desire for defeat with accusations like that. Let us be defeated by the regime, but not without at least trying. It’s not even pragmatism that is giving way to the values of fairness, it’s false pride. We have something to learn from opportunists, and that is that they know what they want and they keep going for it. I wish sometimes we’d be that persistent and don’t complain about those who are trying to go down fighting. It is difficult to express lucidly the reasons that have led me to this conclusion. Many reasons such as no serious elections can take place under SCAF, my firm belief that fraud has taken place on a state level and the unfairness of the whole process factor in, but I will stick to the arguments that relate to the choice at hand. 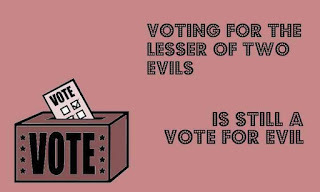 In being persuaded to vote, I have been told that I should pick the lesser of two evils. The arguments are close to obvious for each side. Those asking me to vote for Shafik fear the rise of Islamists and a regime closer to Iran and Saudi Arabia considering the ridiculous lack of principles the parliament has shown. Those asking me to vote Morsi are aware that Shafik is the face of the old oppressive regime and he’ll be sure to subdue us all. He will bring back the Mubarak regime in a more brutal fashion and injustice will prevail. I will not vote out of fear. Shafik and Morsi are not equivalent, I know that. If we’re voting for their past, Shafik is categorically worse, and not only because Morsi is a non-entity. Shafik is a corrupt killer, backed by SCAF and bears all their sins. But even if not, he was Prime Minister at a time were people in Tahrir were attacked by armed mobs despite promises by him to protect them. He has recently revealed that he believes in using violence to clear the square which means the battle of the camel is completely in line with his philosophy. He stole a non-profit university from its students, helped corrupt regime figures smuggle their money out of Egypt and allowed the Ministry of Interior to burn implicating evidence. He is a corrupt man and the charges against him are not investigated because he is protected by his corrupt bosses in the military. He is a true symbol of injustice. Morsi on the other hand is nothing but a weak conspirator and sell out. As a non-entity it is hard to point out his character flaws without resorting to investigating the sins of the muslim brotherhood. However we do know he was part of the corrupt deal with Omar Suleiman to clear out Tahrir square before the battle of the camel in exchange for the release of his boss Khairat Al Shater. The Muslim Brotherhood have proven beyond a doubt that they are the face of deception. They are involved in shady deals, they have backed the SCAF for a year and a half, faced off revolutionaries on SCAF’s behalf, called them thugs, condemned them, thanked the military, praised the government and alienated everyone else. Even at a time when they needed all powers to stand behind them, they have failed to even pretend to want to share power. They broke all their promises and still attempt to write the constitution all by themselves. All they are giving are false promises such as bringing justice to martyrs and sharing power. None of that means a thing because what they can give, they won’t. They are the symbol of deceit. But I’m not voting for the past. 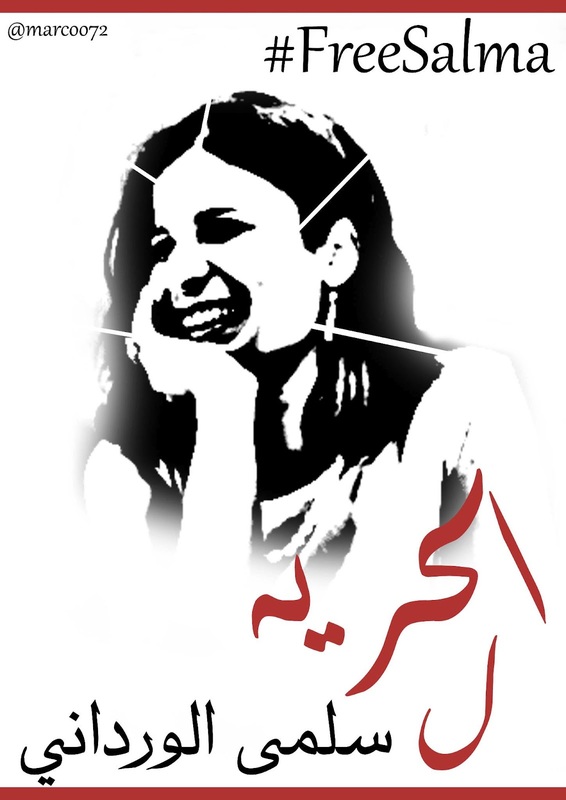 I’m voting for the future of Egypt. I would vote for either if their rule were to provide Egypt with a better future. The revolutionary argument for voting for Shafik is that we’ll be in direct confrontation with our true enemy, the military regime. We know them and we know their networks and we can perhaps continue our fight and eradicate them. The counter argument is that when Shafik takes over, things will be more brutal, the military will have all the oppressive tools and we will be hunted down and no one will stand in their way. The argument for voting Morsi is that we will have gotten rid of all the Felool, and we can start another fight. The Muslim Brotherhood will help us in our fight against the military and we can capitalize on that. The regime will have a fight with the brotherhood and our chances will be better for the revolution to continue. But the Muslim Brotherhood aren’t at real odds with the military. They have proven to be reliable partners who will kill direct action. The presidency just puts them in a better bargaining position. I have no doubt in my mind they will turn against the revolution if they seize power. We also do not have entities in existence to capitalize on a fight between them and the military if such a fight were to ensue. Besides, if they do seize power and eliminate the remnants of the old regime, they will create their new oppressive networks. This time we won’t know them and it will take us a long time to know them. This time they will be hidden behind their beards or fake piety with religion as another layer between us and the real enemy, injustice. Their networks will be harder to penetrate, understand and fight and we might end up not knowing who we’re fighting against. 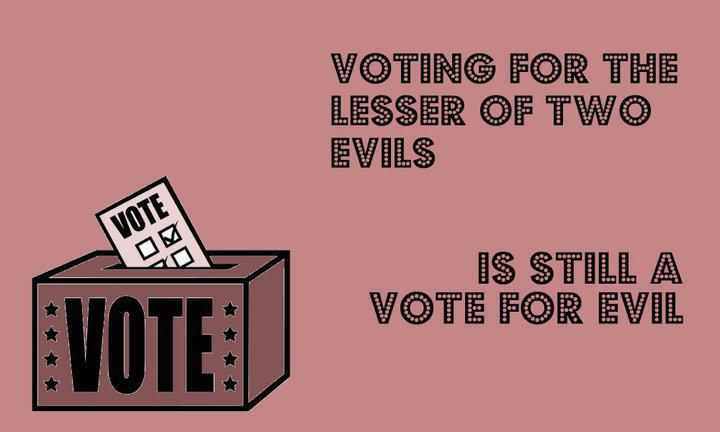 The truth of the matter is that I don’t really know which of the two is the lesser of the two evils. Because I’m voting for the future, I have to vote for that which I can fight more easily. If I were to be certain which path would be easier, I could vote, but I simply don’t know. I’m not being as idealistic as people think, I’m being honest. I have no clue which is better when of two tyrants will come to power. I’ll wait for the outcome instead of being a foot soldier for one of these tyrants. I don’t want to answer this question when I’m not sure of the answer. I do not want to be responsible for an impact which I know nothing about. Let those who voted out of hate, fear and ignorance resolve their battle, but I won’t be part of it. I won’t be part of ignorance. I truly don’t know if it’s easier to fight blatant injustice or selfish deceit. Many might have an answer to this, but at times I feel deceit can be harder to fight because it hides so many of the injustices. At the same time injustice that is so blatant is too oppressive. I ponder over these sorts of questions often but I do not have an answer definitive enough to reach a decision. They both seem to be different kinds of the same coin, that same regime as though we changed nothing. Both are remnants of a past that has cultivated fear and hatred. Deceit or injustice? I cannot choose between them. I do not know the answer. Those who have the answer can go ahead and vote, but I can’t. I have a responsibility to know what I’m doing. This is not time for I told you so. We all knew that Mubarak would be acquitted sooner or later. The sentence handed out by the dishonorable judge Ahmed Refaat is equivalent to an acquittal. Many may argue that the prosecution's case was weak, which it was, but that's not the real reason an effective acquittal was given Mubarak and Adly. The opening statement insincerely delivered by judge Refaat were an indication of a man who sold his conscience to the highest bidder and was willing to use whatever language at his disposal to cheapen justice itself. He has betrayed justice in every sense of the word. His sentencing was certainly a political decision. I know that people often wait for lawyers to interpret rulings, but I don't think it's necessary. The law is a means to justice and what we know for sure is that justice was not served. No matter how you twist it, no justice was served. If there was no evidence of who killed protesters, then why were Mubarak and Adly sentenced? If there was evidence, why were Adly's aides acquitted? It's okay for sophists to argue the legality of the case, but the truth and justice are both clearer than legal jargon. The injustice continues and I sometimes wonder if there is something more we can do other than protest. It may be important to point out that Shafik, who views Mubarak as his role model, will most certainly pardon Mubarak when he is ordained president. I know it feels hopeless now, but it's at times of utter hopelessness that Egyptians have managed to forge a third path away from the lousy alternatives presented to them. It’s been close to a year and a half of fighting. Not the fighting on the streets because that’s just manifestation of our real fight. We fought for values this past year and it seems to me we’ve lost this battle. I said before that voting Shafik meant choosing Morsi, but my statement greatly ignored the lengths the regime would go to in order to get their man on board. In fact, it would be more accurate to say that voting Shafik meant choosing injustice. It is inconceivable to imagine that a regime that has long been accustomed to fraud would allow free and fair elections, but it is equally as inconceivable to believe that after mass mobilization, fraud would be possible without some sort of support base from the people. The true battle we’ve lost is not that Shafik made it to the run-offs but that there was enough of a support base to enable the regime to get away with this fraudulent outcome. In order to have overcome we needed to eradicate people’s desire for injustice and eliminate their fears and hatred. We failed. Egypt is now full of fear and hatred. We’ve been driven to the extremes of the battle between the Muslim Brotherhood and the regime. We have been drawn to their battleground; they have not been drawn to ours. Most are struggling with the question of what they should do, but it’s not our fight. We lost our fight when Ikhwan chose to be Ikhwan and not Egyptian and when Copts chose to be Copts and not Egyptian and when armchair pundits chose to be scared and not Egyptian. It is a losing battle to choose one of the tyrants who have long been in opposition to one another. Going out on the streets won’t help much because we lost the thought battle, the battle for values. A majority of Egyptians have chosen fear, hate and injustice. I will be told that it can’t be that martyrs died for nothing. But people die for nothing every day. However those people who fought for their freedom died for a more personal cause, they died for their values because they chose their values over the danger of dying. They died for a personal freedom not one for the entirety of Egypt. Most people remain chained by their fears and hatred. Most people are chained by the injustice they have actively sought. It is time to fight for ourselves, those of us who share values with one another, who have not been lured by hatred, fear or the prospect of a selfishly happy existence at the cost of justice. Our only winnings are one another. The election scene has ended for us. We are offered a walk on part that I’d rather we not play. We have played our part as best we could, but there are things that were beyond us. We got too arrogant and naively underestimated the lengths to which people will go to in order to preserve their interests. We were swayed and played, but we fought long and hard. We tried our best, but we had fewer tools than we thought we had. We have been at the forefront for much too long but now it’s time to acknowledge that the curtains on this act are coming down.